Greek Revival Style - gable end to street. Old Frye Village Village Hall, also known as Smith Hall, was built at Frye Village at the time of the area's peak as a manufacturing cross-roads. 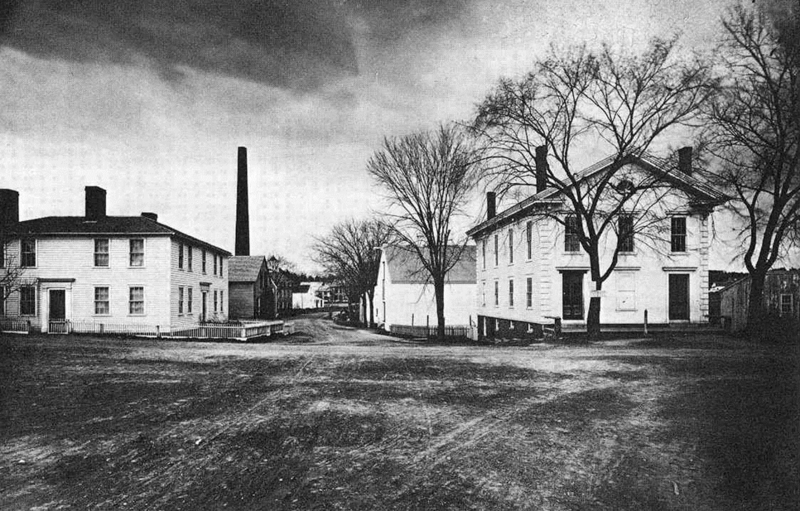 When Smith and Dove Manufacturing Co. began production of flax-to-linen thread on the banks of the Shawsheen River in 1836, the increase in operatives and their families to Frye Village necessitated larger schools and a place to meet. John Smith, his brother Peter and friend John Dove founded the company. All were immigrants from Brechin Scotland, and became the wealthiest families in Andover by mid 19 century. 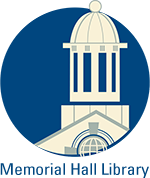 The three men were advocates for strong moral education and gave philanthropic gifts to the community and educational institutions such as Phillips Academy, Abbott Academy, the Andover Theological Seminary and colleges such as Oberlin. The Smiths and Doves were also abolitionists. 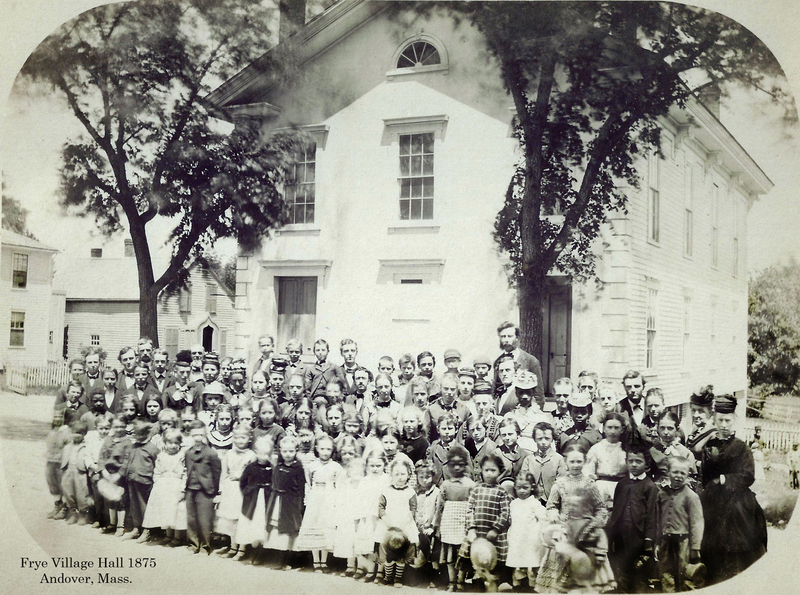 It was John Smith who built the Hall at the corner of North Main and Haverhill Streets in 1837 (325 North Main St.) as a meeting place for workers to gather for meetings, clubs, prayer services, and entertainment. Smith also establish a lending library in the building and a reading room. Periodicals and newspapers from Boston, New York, Scotland and England were available to workers to catch up on the local and international news. Feb. 16, 1856 Andover Advertiser – Feb. 6, 1856 – Messrs. Editors. The Frye Village Library Association held its annual meeting in the Library room on Tuesday evening, February 5th, for the choice of Officers for the ensuing year, and the following persons were chosen: - Joshua H. Stott, President, J. B. Smith, Clerk, Alexander Scrimgeour, Andrew L. Frye, David Middleton, Prudential Committee, Hugh Smart, Librarian. March 31, 1855 AA – exam of high school at Frye Village to be held on April 1. September 3, 1880 AA pg 3 - Smith & Dove Manuf. Co. have built a large storage house near Smith’s Hall and made repairs upon their tenements and other buildings. In 1843 Smith & Dove Co. had acquired the mill rights and buildings of the former Abbott Mills up river in Abbott Village. The company slowly relocated operations there and were in full operation by 1865 in both locations. Eventually all operations were housed at Abbott Village by 1892 and the company began the sale of buildings at Frye Village in 1907. In 1919 William Madison Wood, president of the American Woolen Co. began building his model village at Shawsheen Village for employees, executives and middle management of American Woolen Company. Wood purchased this building and moved it back 50 feet to serve as his gymnasium, general store and clubhouse. Apparently, he thought it inadequate, for he proceeded to have a larger, new building erected for gymnasium on Haverhill St. Stores in the Balmoral Spa and the small replica of a Crofters Cottage, he had seen in Scotland, became the Boys clubhouse. Wood moved the Hall again about 1921 to the new street named Balmoral. The eight houses across the street from the Hall were also moved, to create the Wood Park green on the west side of North Main Street. 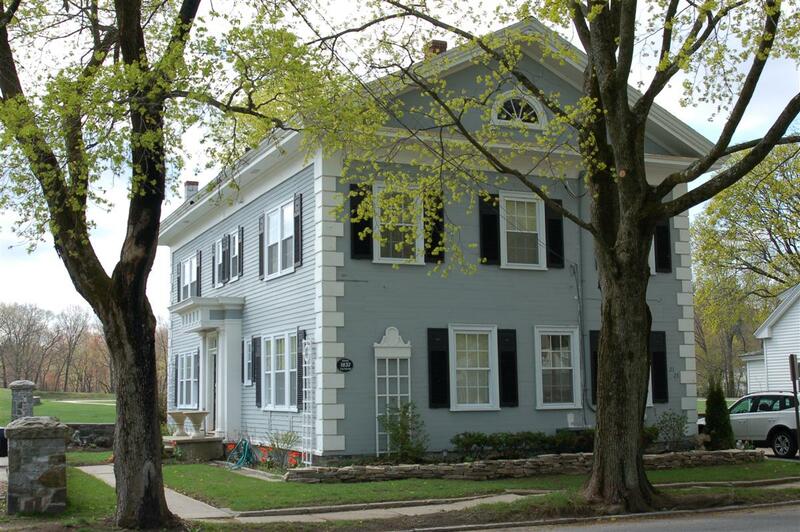 Wood had the hall converted into a two family residence and rented the apartments out to workers in the new Shawsheen Village. The first two tenements in the renovated building were at #21 James R. & Florence E. Mosher. James was a clerk at the American Woolen Co., also his sister-in law Esther Bilodeau a mender in the mill. At #23 lived Henry M. & Wilhelmina Fairweather and daughter Jean age 12. They had another daughter in 1924 Thelma. Henry was a shipping clerk at the Hardy Brush Co. on Haverhill St., nearly a straight walk across the street from the house. Plan 859 - Homestead Assoc. Inc. Acreage 5,240 sq. ft. Approximate frontage 69 ft.